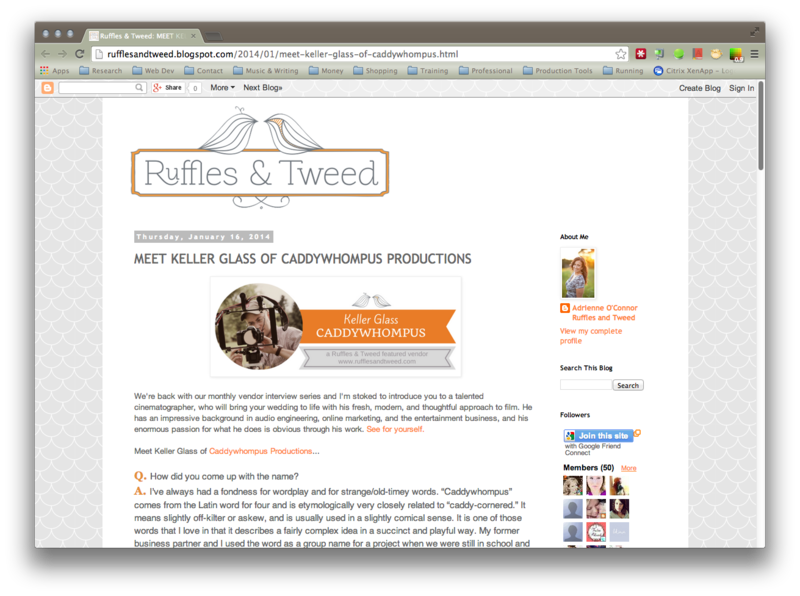 Adrienne O’Connor over at Ruffles and Tweed was nice enough to publish an interview with me yesterday. She has a great eye and a beautiful aesthetic, which makes the nod all the more special. Click on the picture below to take a gander.